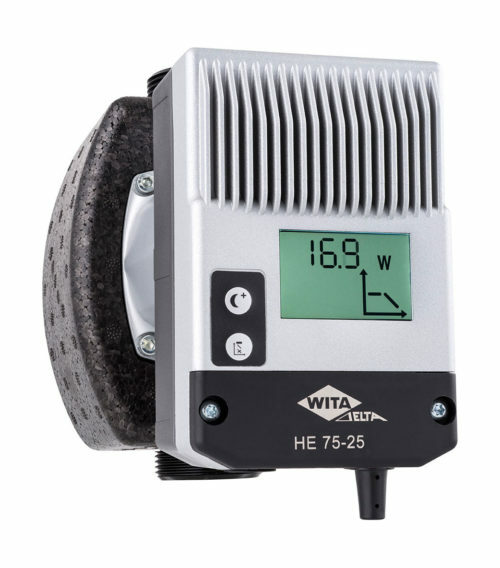 The WITA® high-efficiency circulating pumps are characterized by a high quality “Made in Germany”. By using high-grade materials, our products are designed for a long service life. Because of our own production in the Bad Oeynhausen (Germany), we can ensure efficient structures, our quality standards, the requirements of craftsmanship and fair prices. As a material, WITA® processes cataphoresis-coated armature castings and chromium-nickel steel. These proven materials guarantee high resistance and a versatile range of applications. All circulating pumps are supplied with heat insulation shells, seals, coupling plugs or permanently installed cables. 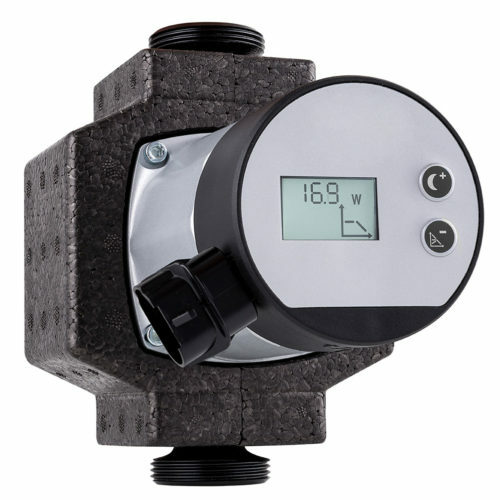 In an average household, 10 to 15% of the electricity consumption is caused by conventional standard pumps. 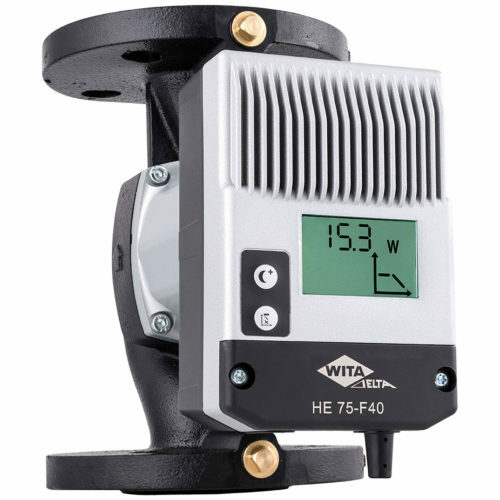 Through the use of the WITA® high efficiency pumps the energy consumption can be compared to a conventional circulation pump. Approximately 80%. The hydraulic power could be almost kept the same compared to standard pumps. Additional to the eleven different power curves which can be selected also at the Delta HE 75 without the PWM module, the PWM version also has four PWM stages. In these stages, the pump can be controlled with an external speed control. 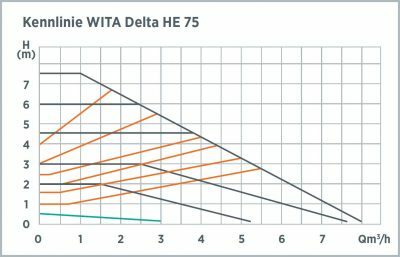 You can download the Delta HE 75 manual in our download area to find out more about the PWM function. The PWM control signal is also described in detail here. 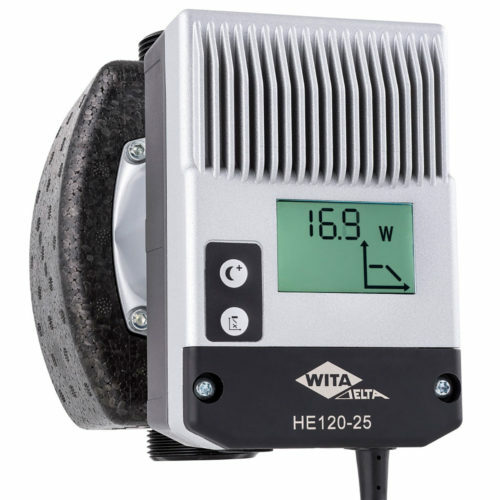 The LCD display shows the current power consumption, the selected characteristic curve and the night reduction.